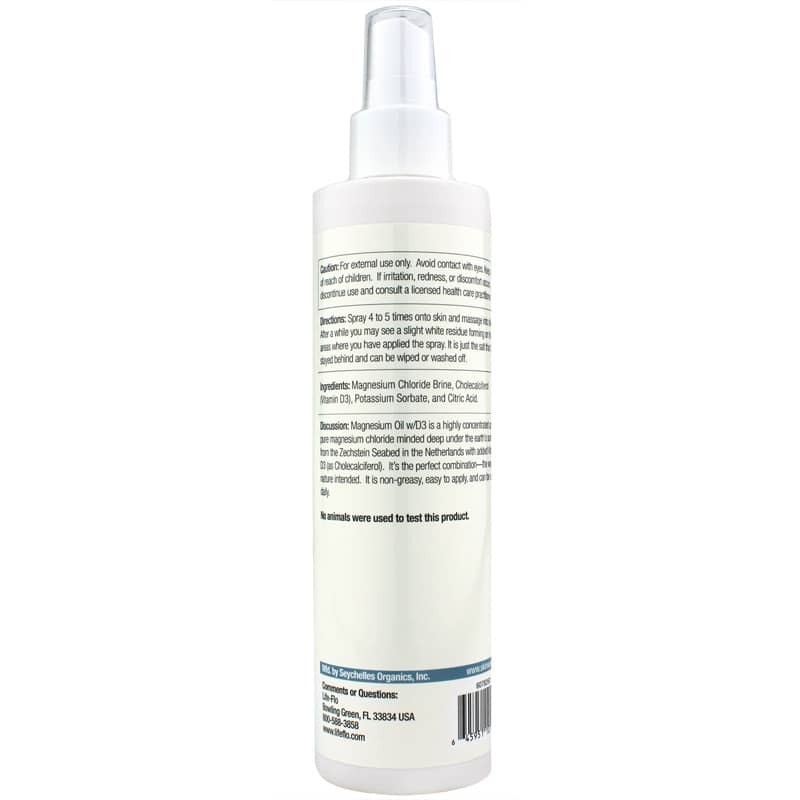 Magnesium Oil Spray + Vitamin D3, 8 Oz from Life Flo is a topical spray that contains concentrated magnesium chloride sourced from the Zechstein Sea in the Netherlands, and vitamin D3 as cholecalciferol. 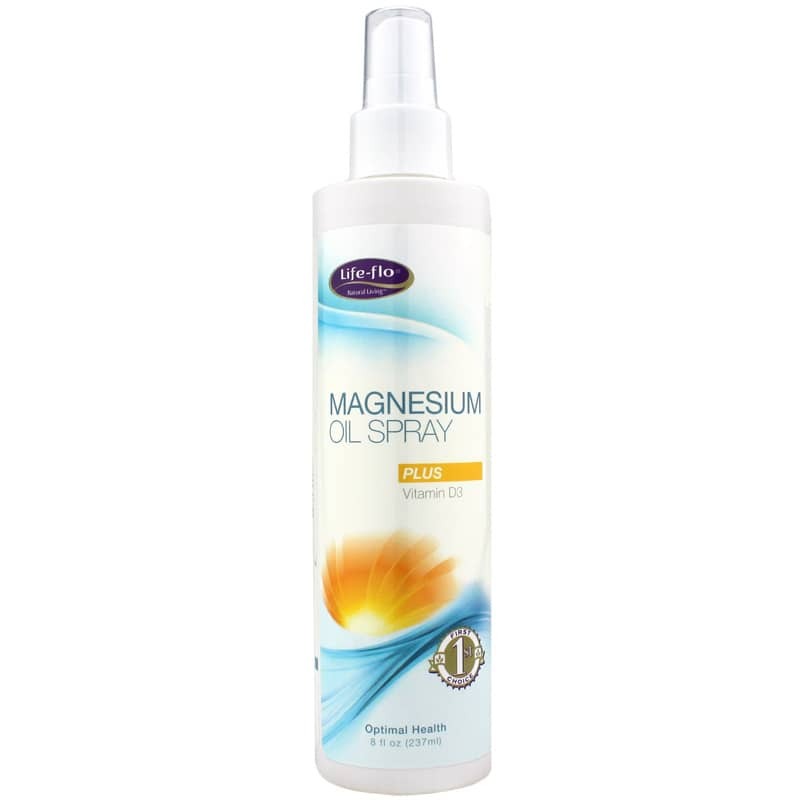 This formula seeks to support magnesium chloride and vitamin D3 levels already within the normal range. When applied to the skin, this formula enters the body and may provide several medicinal benefits, including feelings of restfulness. Support your healthy body with essential nutrients while you sleep. Magnesium Chloride Brine, Cholecalciferol (Vitamin D3), Potassium Sorbate and Citric Acid. Adults: Spray 4 to 5 times onto skin and massage into skin. After a while you may see a slight white residue forming on the areas where you have applied the spray. It is just the salt that has stayed behind and can be wiped or washed off.